Below you fill find all funeral homes and cemeteries in or near Briarcliff Manor. Popular neighborhoods in Briarcliff Manor include: Briarcliff Manor Fire Department. Suburbs of Briarcliff Manor: Briarcliff, Briarcliff Mnr, Scarborough. Briarcliff Manor is also known as: Westchester County / Briarcliff Manor village. Zip codes in the city: 10510. Some of the notable people born here have been: Joseph Ruben (screenwriter and film producer). Briarcliff Manor /ˈbraɪərklɪf/ is a suburban village in Westchester County, New York, around 30 miles (50 km) north of New York City. It is on 5.9 square miles (15 km2) of land on the east bank of the Hudson River, geographically shared by the towns of Mount Pleasant and Ossining. Briarcliff Manor includes the communities of Scarborough and Chilmark, and is served by the Scarborough station of the Metro-North Railroad's Hudson Line. A section of the village, including buildings and homes covering 376 acres (152 ha), is part of the Scarborough Historic District and was listed on the National Register of Historic Places in 1984. The village motto is "A Village between Two Rivers", reflecting Briarcliff Manor's location between the Hudson and Pocantico Rivers. Although the Pocantico is the primary boundary between Mount Pleasant and Ossining, since its incorporation the village has spread into Mount Pleasant.In the precolonial era, the village's area was inhabited by a band of the Wappinger tribes of Native Americans. In the early 19th century, the area was known as Whitson's Corners. Walter William Law moved to the area and purchased lands during the 1890s. Law developed the village, establishing schools, churches, parks, and the Briarcliff Lodge. Briarcliff Manor was incorporated as a village in 1902, and celebrated its centennial on November 21, 2002. The village has grown from 331 people when established to 7,867 in the 2010 census.Briarcliff Manor was historically known for its wealthy estate-owning families, including the Vanderbilts, Astors, and Rockefellers. It still remains primarily residential and its population is still considered affluent by U.S. standards. It has about 180 acres (70 ha) of recreational facilities and parks, all accessible to the public. The village has seven Christian churches for various denominations and two synagogues. The oldest church is Saint Mary's Episcopal Church, built in 1851. 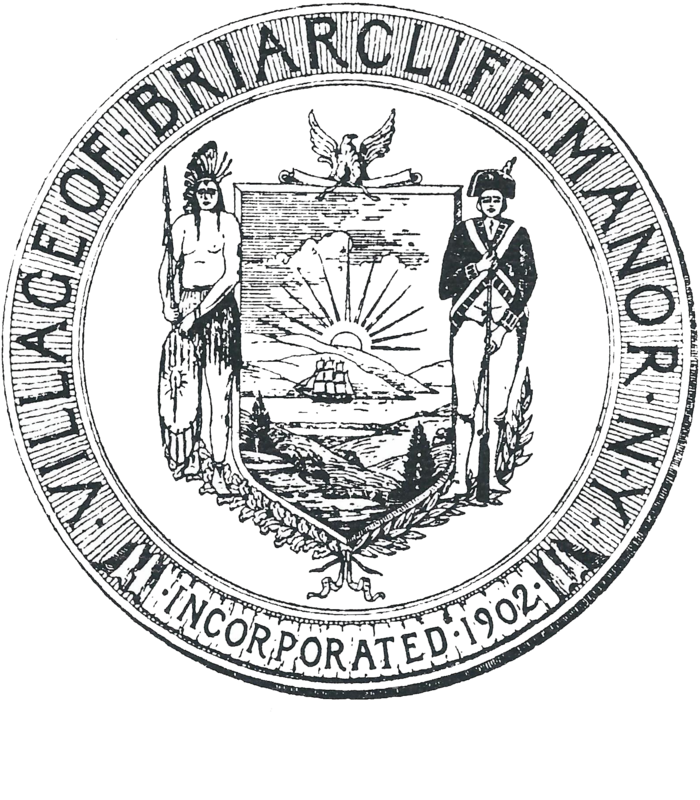 Briarcliff Manor has an elected local government, with departments including police, fire, recreation, and public works. It has a low crime rate: a 2012 study found it had the second-lowest in the state. In the New York State Legislature it is split between the New York State Assembly's 95th and 92nd districts, and the New York Senate's 38th and 40th districts. In Congress the village is in New York's 17th District. It was revealed on February 23rd, 2014 that Betty Nichols (Collins) passed on in Briarcliff Manor, New York. Ms. Nichols was 91 years old and was born in Villa Park, CA. Send flowers to share your condolences and honor Betty's life. It was disclosed by Minneapolis Star Tribune on December 25th, 2011 that Joan Serena (McGailey) passed on in Maple Plain, Minnesota. Ms. Serena was 58 years old and was born in Briarcliff Manor, NY. Send flowers to share your condolences and honor Joan's life. Briarcliff Manor is a village in Westchester County, New York County in the state of New York. As of the 2000 census, the village population was 7,696, over 93% of whom lived in the Town of Ossining. It is shared between the Political subdivisions of New York State#Town of Mount Pleasant, New York Pleasant and Ossining (town), New York and lies entirely within the ZIP code of 10510. . . The official website for the city of Briarcliff Manor is http://www.briarcliffmanor.org. Morrison escaped New York City to the easternmost hamlet on weekends until ... Moritz of Tuckahoe, Jeffrey Moritz of Briarcliff Manor, Kirk Moritz of Manhattan, Stacey Brodsky of Scarsdale, N.Y., Ms. Topping of Manhattan, and Scott Moritz of Glen Head. Here are the results for funeral homes in Briarcliff Manor New York. You can find some of the best funeral homes businesses serving Briarcliff Manor. Find a map, directions and more for Waterbury & Kelly Funeral Home in Briarcliff Manor, NY. Listing all funeral homes in Briarcliff Manor, New York so you can easily send flowers to any location (same day delivery) or find any funeral service. Waterbury & Kelly Funeral Homes, Briarcliff Manor, NY : Reviews and maps - Yahoo! Local, 914.941.0838. Get Ratings, Reviews, Photos and more on Yahoo! Local. Hellman Garlick Funeral Home, Briarcliff Manor, NY : Reviews and maps - Yahoo! Local, 914.762.5501. Get Ratings, Reviews, Photos and more on Yahoo! Local. We work with local florists and flower shops to offer same day delivery. You will find budget sympathy flowers in Briarcliff Manor here. Our funeral flowers are cheap in price but not in value.